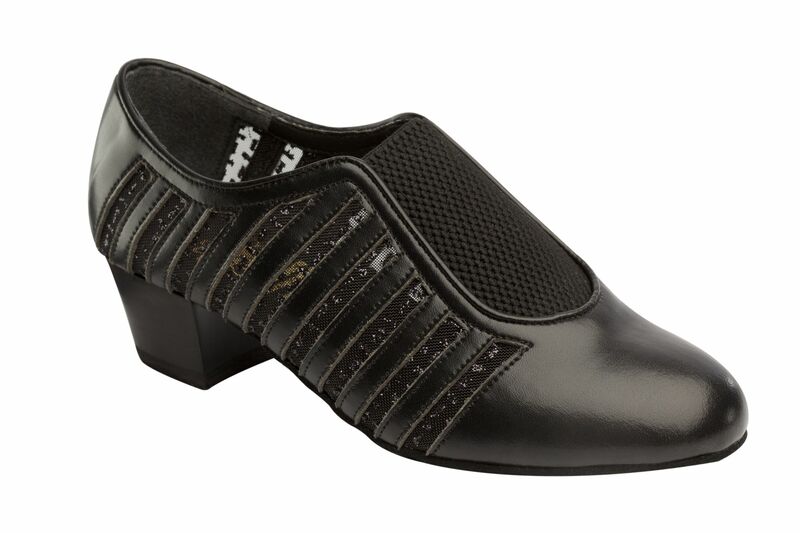 The 1047 Ladies Practice Shoe continues to be a popular choice in our Supadance Ballroom Collection range at Duo Dance London. A slip on shoe made from ultra soft leather and mesh. An attractive yet practical dance shoe suitable for the long hours training. 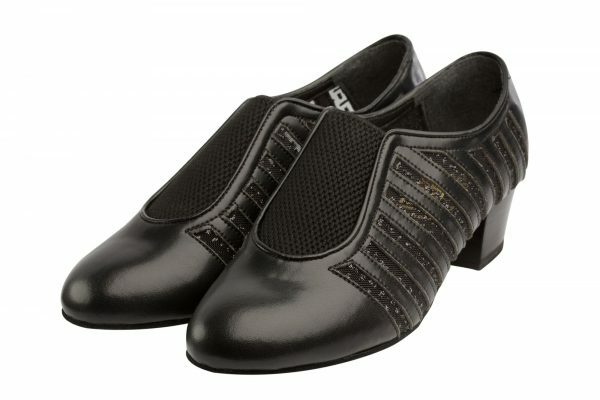 It is a perfect shoe for both the Professional and social dancer and is suitable for all styles of Latin and Ballroom dance. The 1047 Ladies Practice shoe is a split-soled shoe so more suitable to the Latin rather than Ballroom Dancer. A combination of soft leather and mesh in Black, a rounded toe and impact absorbing cushioned heels. 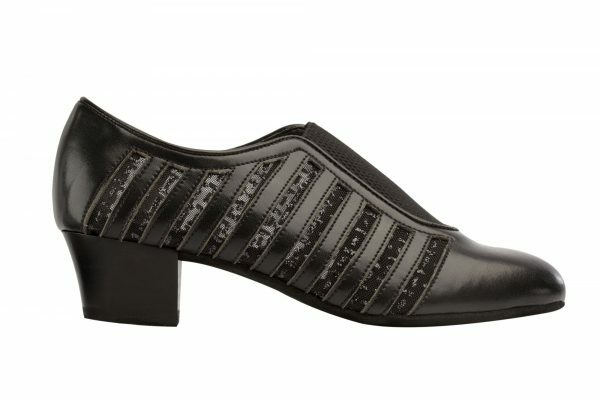 A traditional cuban heel at 1.5″, sturdy and solid allowing the dancer complete support and stability. 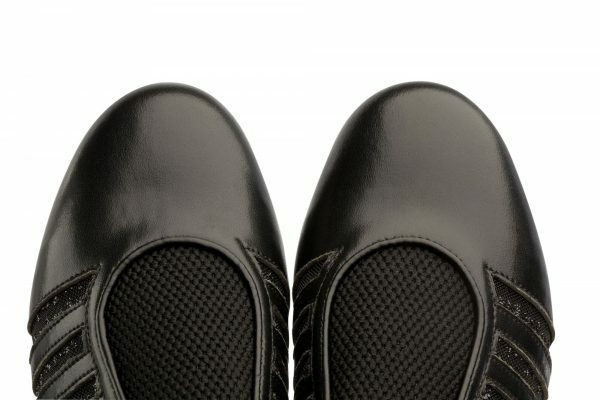 The 1047 Ladies Practice Shoe is available in a regular fit and in Supadance UK Sizes 2 – 8 including half sizes. Mix of leather and mesh. 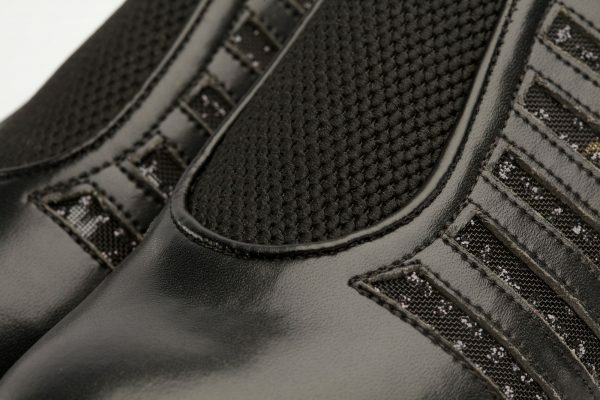 It is sometimes possible to change the heel, width, choice of fabric as a “made to order” option. This will incur a small fee. Please email us at info@duodance.co.uk. “Made to Order” options take up to 8 weeks to manufacture but well worth the wait to have a unique shoe!